Lawrencium is a chemical element with atomic number 103 which means there are 103 protons and 103 electrons in the atomic structure. The chemical symbol for Lawrencium is Lr. Lawrencium is the final member of the actinide series. Like all elements with atomic number over 100, lawrencium can only be produced in particle accelerators by bombarding lighter elements with charged particles. Atomic mass of Lawrencium is 262 u. Note that, each element may contain more isotopes, therefore this resulting atomic mass is calculated from naturally-occuring isotopes and their abundance. The unit of measure for mass is the atomic mass unit (amu). 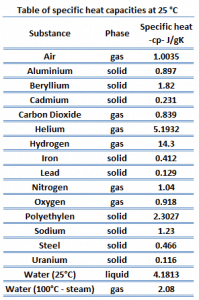 One atomic mass unit is equal to 1.66 x 10-24 grams. One unified atomic mass unit is approximately the mass of one nucleon (either a single proton or neutron) and is numerically equivalent to 1 g/mol. Density of Lawrencium is –g/cm3. 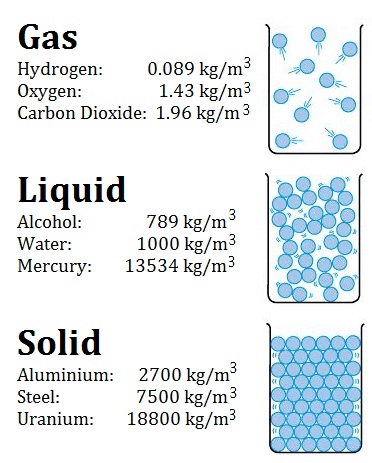 In words, the density (ρ) of a substance is the total mass (m) of that substance divided by the total volume (V) occupied by that substance. 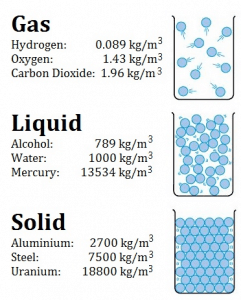 The standard SI unit is kilograms per cubic meter (kg/m3). The Standard English unit is pounds mass per cubic foot (lbm/ft3). Electron Affinity of Lawrencium is — kJ/mol. Electronegativity of Lawrencium is —. An atom of Lawrencium in the gas phase, for example, gives off energy when it gains an electron to form an ion of Lawrencium. First Ionization Energy of Lawrencium is — eV. A Lawrencium atom, for example, requires the following ionization energy to remove the outermost electron. Melting point of Lawrencium is 1627°C. Boiling point of Lawrencium is –°C. Note that, these points are associated with the standard atmospheric pressure. In thermodynamics, the term saturation defines a condition in which a mixture of vapor and liquid can exist together at a given temperature and pressure. The temperature at which vaporization (boiling) starts to occur for a given pressure is called the saturation temperature or boiling point. The pressure at which vaporization (boiling) starts to occur for a given temperature is called the saturation pressure. When considered as the temperature of the reverse change from vapor to liquid, it is referred to as the condensation point. In thermodynamics, the melting point defines a condition in which the solid and liquid can exist in equilibrium. Adding a heat will convert the solid into a liquid with no temperature change. The melting point of a substance depends on pressure and is usually specified at standard pressure. When considered as the temperature of the reverse change from liquid to solid, it is referred to as the freezing point or crystallization point. Specific heat of Lawrencium is — J/g K.
Latent Heat of Fusion of Lawrencium is — kJ/mol. Latent Heat of Vaporization of Lawrencium is — kJ/mol. Flerovium is a chemical element with atomic number 114 which means there are 114 protons and 114 electrons in the atomic structure. The chemical symbol for Flerovium is Fl. Electron Configuration [Rn] 5f14 6d10 7s2 7p2 ? Atomic mass of Flerovium is 289 u.
Density of Flerovium is –g/cm3. Electron Affinity of Flerovium is — kJ/mol. Electronegativity of Flerovium is —. An atom of Flerovium in the gas phase, for example, gives off energy when it gains an electron to form an ion of Flerovium. First Ionization Energy of Flerovium is — eV. A Flerovium atom, for example, requires the following ionization energy to remove the outermost electron. Melting point of Flerovium is –°C. Boiling point of Flerovium is –°C. Specific heat of Flerovium is — J/g K.
Latent Heat of Fusion of Flerovium is — kJ/mol. Latent Heat of Vaporization of Flerovium is — kJ/mol. Rutherfordium is a chemical element with atomic number 104 which means there are 104 protons and 104 electrons in the atomic structure. The chemical symbol for Rutherfordium is Rf. Atomic mass of Rutherfordium is 261 u.
Density of Rutherfordium is –g/cm3. Electron Affinity of Rutherfordium is — kJ/mol. Electronegativity of Rutherfordium is —. An atom of Rutherfordium in the gas phase, for example, gives off energy when it gains an electron to form an ion of Rutherfordium. First Ionization Energy of Rutherfordium is — eV. A Rutherfordium atom, for example, requires the following ionization energy to remove the outermost electron. Melting point of Rutherfordium is –°C. Boiling point of Rutherfordium is –°C. Specific heat of Rutherfordium is — J/g K.
Latent Heat of Fusion of Rutherfordium is — kJ/mol. Latent Heat of Vaporization of Rutherfordium is — kJ/mol. Moscovium is a chemical element with atomic number 115 which means there are 115 protons and 115 electrons in the atomic structure. The chemical symbol for Moscovium is Mc. Atomic mass of Moscovium is 290 u.
Density of Moscovium is –g/cm3. Electron Affinity of Moscovium is — kJ/mol. Electronegativity of Moscovium is —. An atom of Moscovium in the gas phase, for example, gives off energy when it gains an electron to form an ion of Moscovium. First Ionization Energy of Moscovium is — eV. A Moscovium atom, for example, requires the following ionization energy to remove the outermost electron. Melting point of Moscovium is –°C. Boiling point of Moscovium is –°C. Dubnium is a chemical element with atomic number 105 which means there are 105 protons and 105 electrons in the atomic structure. The chemical symbol for Dubnium is Db. Atomic mass of Dubnium is 262 u.
Density of Dubnium is –g/cm3. Electron Affinity of Dubnium is — kJ/mol. Electronegativity of Dubnium is —. An atom of Dubnium in the gas phase, for example, gives off energy when it gains an electron to form an ion of Dubnium. First Ionization Energy of Dubnium is — eV. A Dubnium atom, for example, requires the following ionization energy to remove the outermost electron. Melting point of Dubnium is –°C. Boiling point of Dubnium is –°C. Specific heat of Dubnium is — J/g K.
Latent Heat of Fusion of Dubnium is — kJ/mol. Latent Heat of Vaporization of Dubnium is — kJ/mol. Livermorium is a chemical element with atomic number 116 which means there are 116 protons and 116 electrons in the atomic structure. The chemical symbol for Livermorium is Lv. Atomic mass of Livermorium is 292 u.
Density of Livermorium is –g/cm3. Electron Affinity of Livermorium is — kJ/mol. Electronegativity of Livermorium is —. An atom of Livermorium in the gas phase, for example, gives off energy when it gains an electron to form an ion of Livermorium. First Ionization Energy of Livermorium is — eV. A Livermorium atom, for example, requires the following ionization energy to remove the outermost electron. Melting point of Livermorium is –°C. Boiling point of Livermorium is –°C.